Samsung working on a 11.6-inch Android tablet? Samsung is the only company in the world I think producing Android tablet of four different size and resolution. It now seems they are working hard to make it 5 with a bigger 11.6-inch tablet running Android 4.0 Ice Cream Sandwich OS. We heard it from BGR and they claimed there source is reliable. 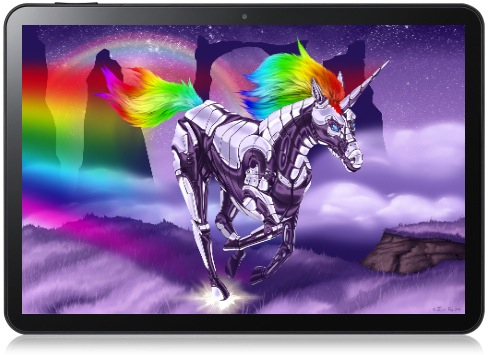 The unicorn device will feature a 2560×1600 resolution display of 16:10 aspect ratio. The source mentioned that only the bezel would be shrinking for the most part, with the device size remaining largely the same as current 10.1-inch tablets. This 11.6-inch tablet will be most likely be unveiled at Mobile World Congress in February with upcoming 2 GHz 5250 Exynos CPU and NFC. Samsung is reportedly aiming for connectivity with televisions offering a wireless docking mode for gaming on your HDTV. I can’t wait to see the real picture of it? What about you?